If you are looking for a highly trained and experienced oral surgeon in Ridgewood, you have come to the right place. 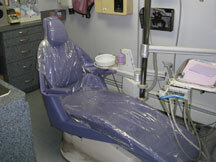 Our oral surgery office uses the latest state-of-the-art equipment and cutting edge technology in all of our treatments and we uphold the strictest sterilization techniques. We know that many people may feel anxious about coming to an oral surgeon, so it is our goal to make your visit with us as pain-free and anxiety-free as possible. All of our patients are important to us and we want your experience to be a pleasant one. 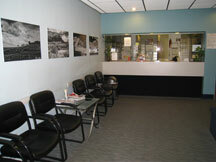 From the moment you walk into our office, you will receive a warm and friendly greeting from our staff. We will be more than happy to answer all of your questions and put your mind at ease before and after your treatment. We accept VISA, Mastercard and American Express credit cards. Financing is also available. Please speak to our helpful front office staff for details. In addition, we participate on many plans and have listed some of the insurances and plans we accept below. If your plan is not listed, please call our office and ask; we probably accept it. We are located at 60-83 Myrtle Avenue, Ridgewood, New York 11385 with ample patient parking available in the lot behind our building, as well as on the street. Please click here for door-to-door driving directions to our office.